The 2008 smash hit Mirrors Edge was the first game of it’s kind, it gave the limelight to the concept of Parkour / Free running with intense gun chases, close escapes from the enemy and many other hazardous encounters. While the story wasn’t that great the gameplay was one of the best and definitely deserved better reception from the public. The PC version offered Nvidia Physx which helped make the game even more stunning, the game used the Unreal Engine 3 and the results were a large beautiful world where you control a free running messenger whose sister is framed for murder. The game was simply beautiful and was definitely praise worthy on all platforms but due to disappointing sales EA is now reluctant on releasing a Mirrors Edge 2. The game got excellent reviews from all top gaming sites and it definitely deserved every good review it got. 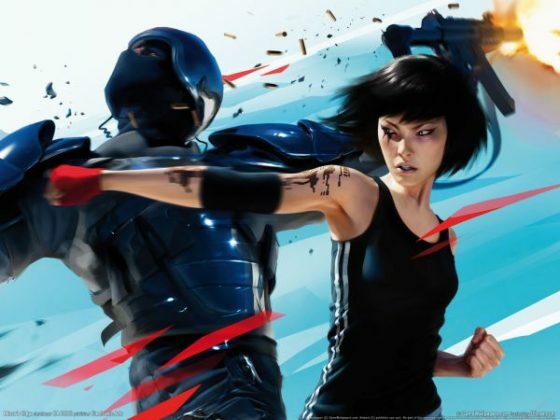 While EA has said that they will talk about Mirrors Edge in the future you can rest assured that there definitely may not be a Mirrors Edge 2 in this years or next years gaming conferences. “Mirror’s Edge is an IP that’s close to my heart and EA’s as well. It was a bold move from us. I’m proud we made it. It obviously didn’t reach the commercial success we wanted, even though it wasn’t bad at all,” he said.